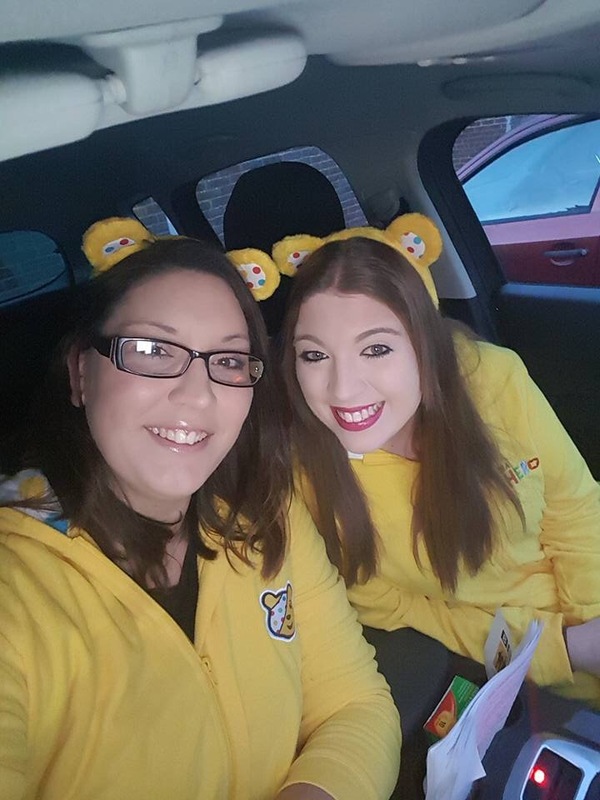 So for anyone who is not aware me and my lovely friend Jenna have undertaken a year long challenge for Children In Need. If you are interested you can visit our fundraising website at www.CINChallenge.com. Unfortunately this means it is time to get fit. Even more unfortunately this means saying goodbye to most of the stuff that I actually enjoy eating. Therefore I thought it was acceptable to partake in one last unhealthy night with a friend of mine. This unhealthy binge consisted of a bottle of wine and a rather interesting snack which I had stumbled upon at the local shop across the road. Up until then I had no idea that pizza could actually come in a dessert form. So with no further ado I present to you the Goodfella’s Sweet Fella’s Delicious Dessert Pizza. In fact there is a little bit of ado as I have now had to partake in a rather lengthy conversation with my flat mate about the difference between “ado” and “adieu”. Turns out “ado” is a lovely little English word meaning without fuss or unnecessary hustle and bustle (think Shakesphere, Much Ado About Nothing”. “Adieu” is a dramatic French farewell, think of it as a last goodbye. So here I am with now a little bit of ado but that is okay because it is not a French goodbye. Easy mistake to make, don’t judge me too harshly and trust me I am a lot more intelligent in Spanish than French! Muchas Gracias. So this was my choice of a final unhealthy snack. I have to say that I disagree with their slogan that “the best things in life are worth sharing” because that pizza was amazing and I would happily not share. But I am a sharing caring individual and shared. After looking at the calorie content I am very happy that I did. Outside of the box it looked a little bit like a pizza which had gone mouldy. I fought the urge to cover it in magic stars and maltesers and put it in the oven for 14 minutes. 14 minutes later and this calorific and chocorific (if that is not a word it is now) specimen emerged from the oven. Was it an acceptable last binge? Definitely so! Could I have eaten it on my own? 100% definitely not! Goodfella’s I am sorry and I agree with your slogan. Now I know that these are hanging out in the freezer at the Tesco across the road I don’t know how I am going to be able to leave them alone. However I think that the fear of not actually being able to complete this Children In Need challenge slightly outweighs the unhealthy pizza chilling in the freezer! Can’t even remember the last time I ran! It is nearly time for February’s Challenge! On the 16th of February me and Jenna will be climbing over the O2 Arena in London. Check out our blog and youtube and if you can spare anything to help us hit our £5000 charity for Children In Need we will be so grateful! So I was so lucky to be able to go to BBC Children In Need’s Appeal Night last night. I was 7 years old when I went to a Harvester restaurant with my parents and they had a colouring competition to keep the kids entertained while waiting for orders to arrive. I sat there for half an hour colouring in this picture of Pudsey bear. I have always been a bit of a perfectionist, that bear was coloured in as accurately as possible using perfect colour selection. Yellow for his body, black for his eyes and a white and red spotty eyepatch. There would be no purple and green spotted bear submitted from me! As we left the restaurant Dad pinned my bear up with all the other enteries and we went home. Mum and Dad got a phone call from the Harvester a week later and turns out I had won! I won a meal for four at the restaurant but most importantly I won a cuddly Pudsey Bear. Me and my Pudsey Bear have sat and watched Children In Need from start to finish together ever since even though I am now 24. This is how I fell in love with this charity and I have fundraised for Children In Need for the past 8 years. Last night I was at the Elstree Studio watching the filming for Children In Need and I didn’t feel well. I poked my friend who was sat next to me and fainted/collapsed. The team at the studio and the paramedic (your name was Brian, but I apologise I cannot remember anyone else’s name, sadly I do not remember much from the evening!) were all absolutely brilliant and really looked after me. Thank you so much for everything you did, I had no idea I was ill, I thought I was just a bit under the weather. I will go to the doctors first thing Monday morning as promised and will not be going to work until the doctor says I can. I apologise for being a really stubborn and difficult patient, I’m not myself after a fainting episode and I promise you I’m a lot nicer and a lot less difficult normally! Unfortunately the second time I collapsed they helped me stumble my way out of the studio door. I got just outside the studio door and I am told that I hit the floor in front of Busted who just got off stage. I have camped out for McBusted and Busted several times and really wanted to see you guys perform, I’m gutted I missed you. (I came back in after the first fainting episode after your performance had already ended and the second one occurred shortly after!). I’m a 90’s baby and a massive Busted fan, so I cannot express how embarrassed I am that this happened, and I’m very sorry! I’m told you guys said you wished you could help me, which is so kind so thank you so much. I have always wanted to meet you I just wish I remembered it!!! So just a big thank you and sorry to the team at BBC, Brian and Busted. I really hope I get to see the show live again some time. It has always been a dream of mine, I just wish I could have actually seen it! Until then it’s time for another cracking year raising money for such a good cause, it’s going to be a busy one!! On our way Children In Need!!! Tonight is the night!! Please give generously all! 1 week until one of the most important nights of the year! 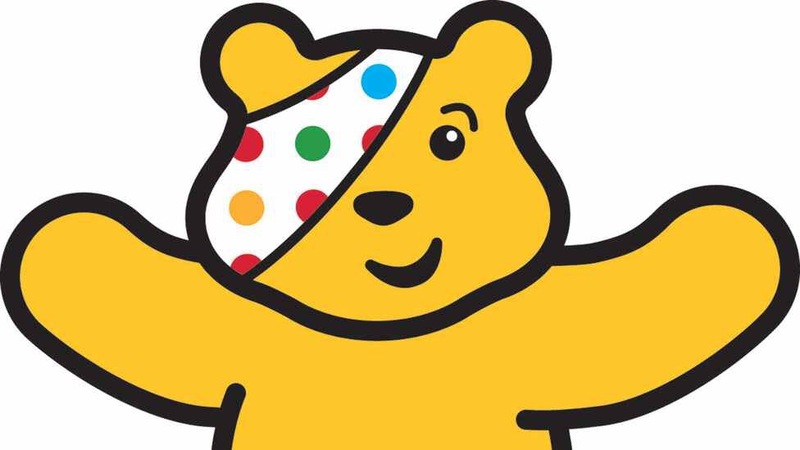 BBC Children In Need is such an important charity who make such a difference to so many people. That is why it is so important to show your spots and raise lots for Pudsey! I am so proud to support this charity every day with both work and in my own time and incredibly excited that for the first year ever I will get to watch live from the studio!!! 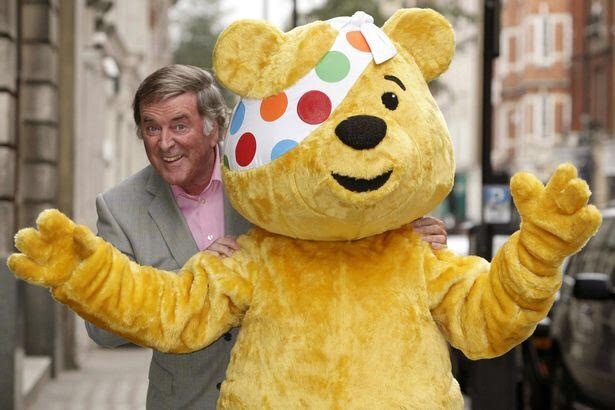 This year will be the first since Terry Wogan sadly passed away in January this year and I’m sure the amazing charity that he helped to create will continue to do amazing things. Plans already in place for the fundraising for next year and it is looking like it is going to be a jam packed Pudsey filled year!